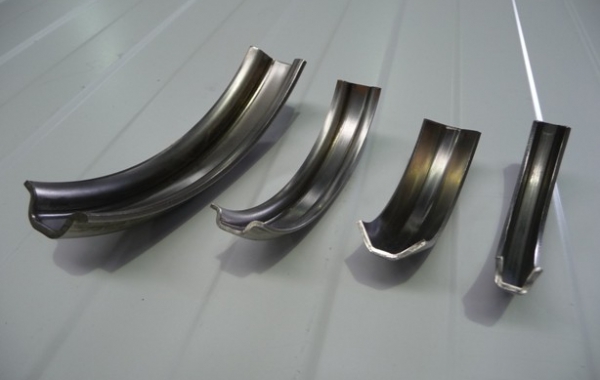 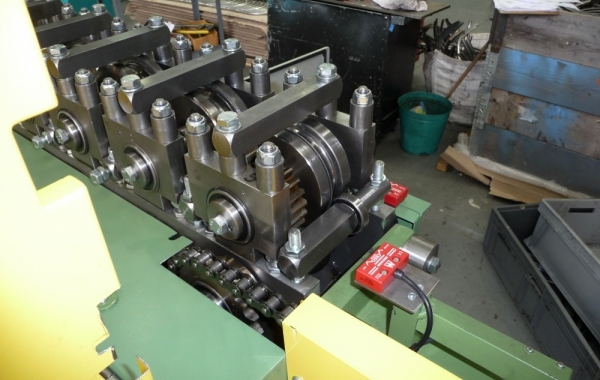 The following line of machinery is capable of producing a U shaped ring from coils of 28.14mm wide x 2mm thick stainless steel, at a rollforming rate of 25m/min less stoppage to cut time. 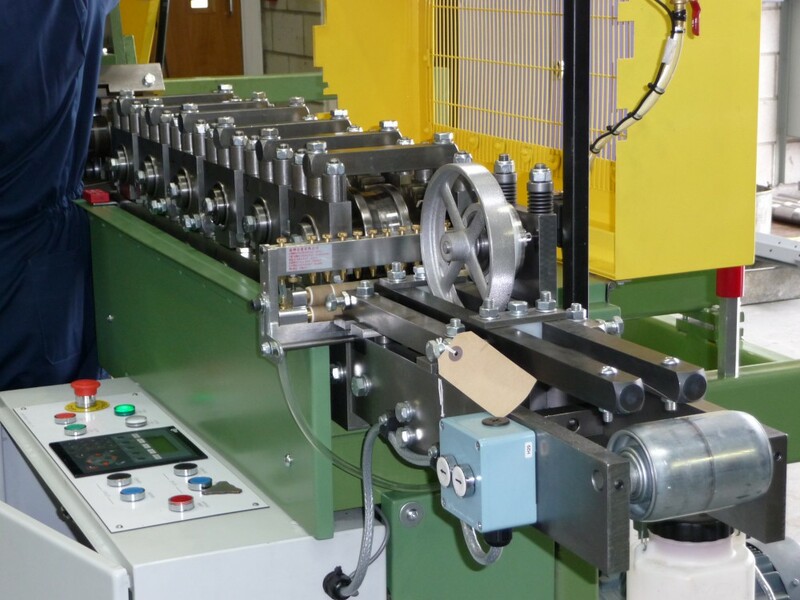 The final production rate is therefore length dependent. 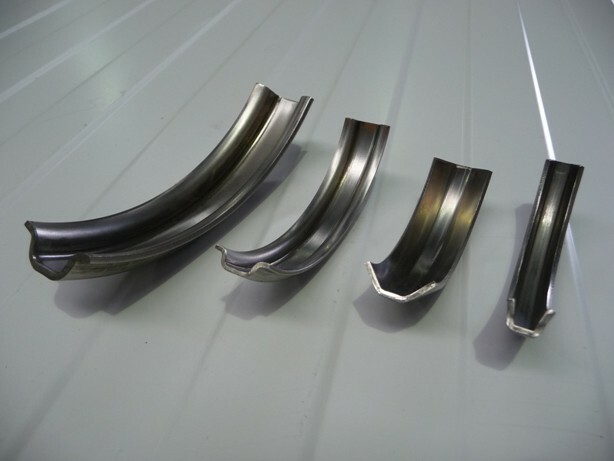 Production of the retainers are with the coil bore and hence strip horizontal, producing the retainer in a downward curving direction. 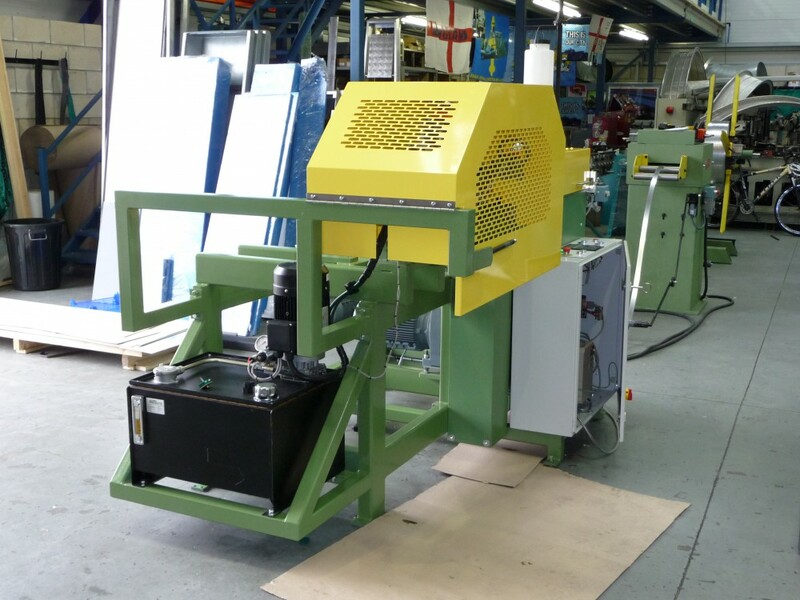 This will comfortably accommodate segments up to one metre in diameter and greatly simplifies product removal, as this is gravity assisted. 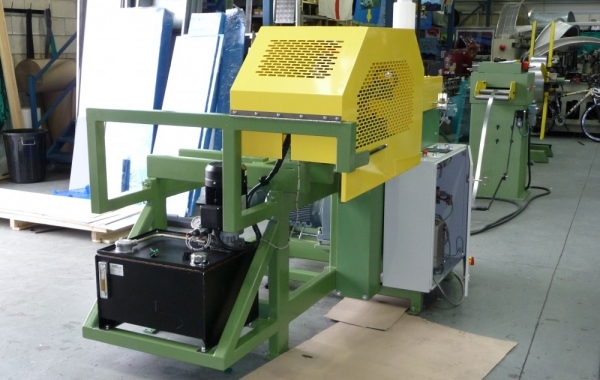 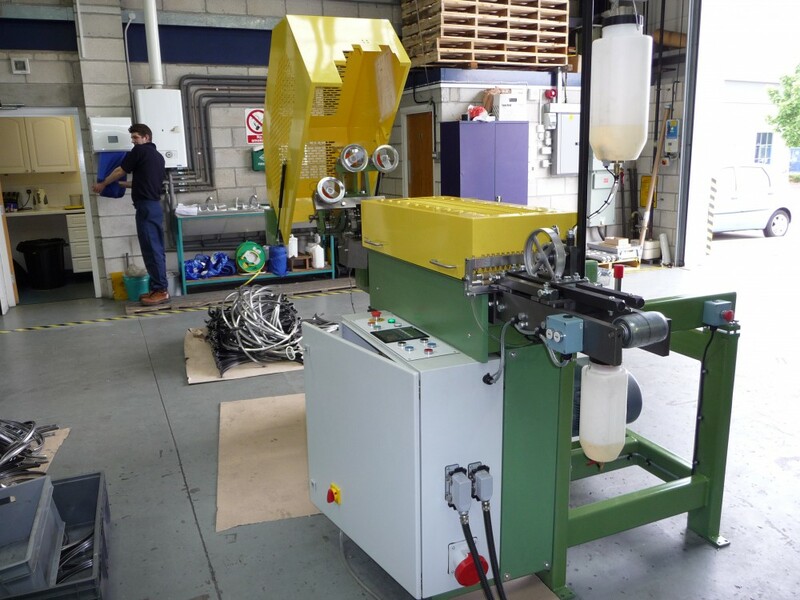 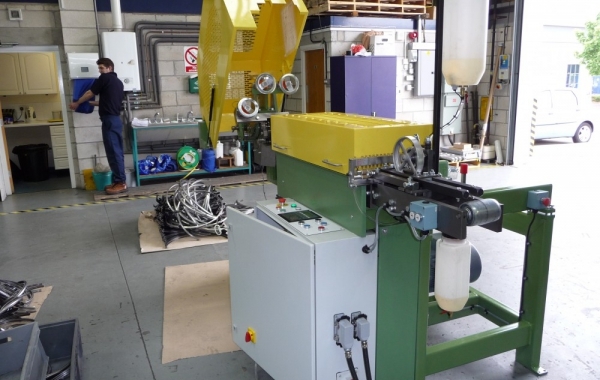 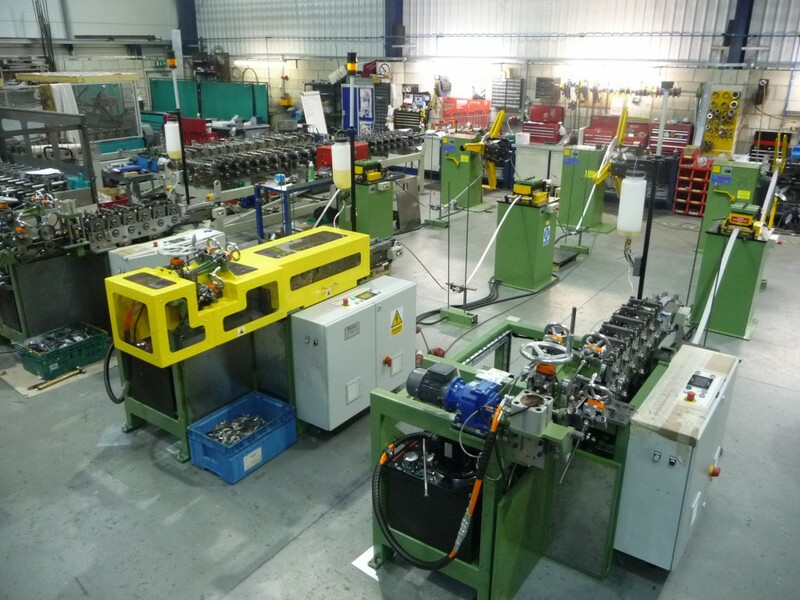 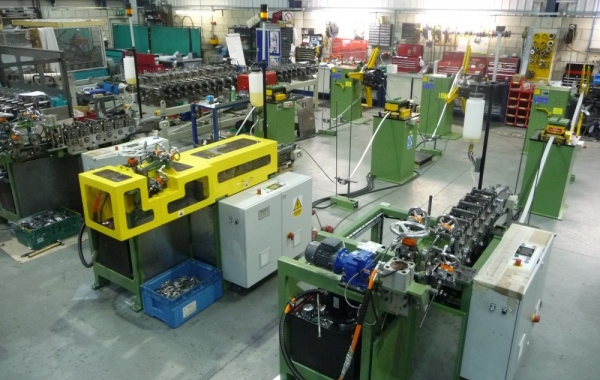 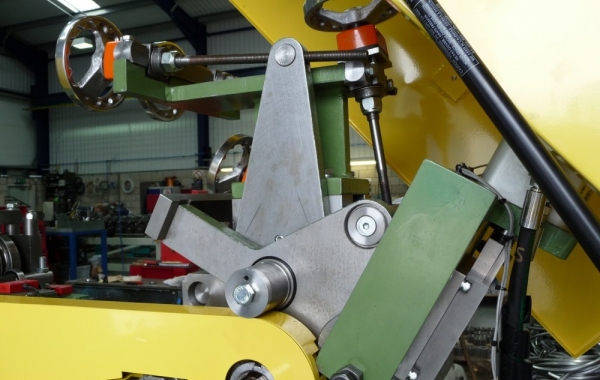 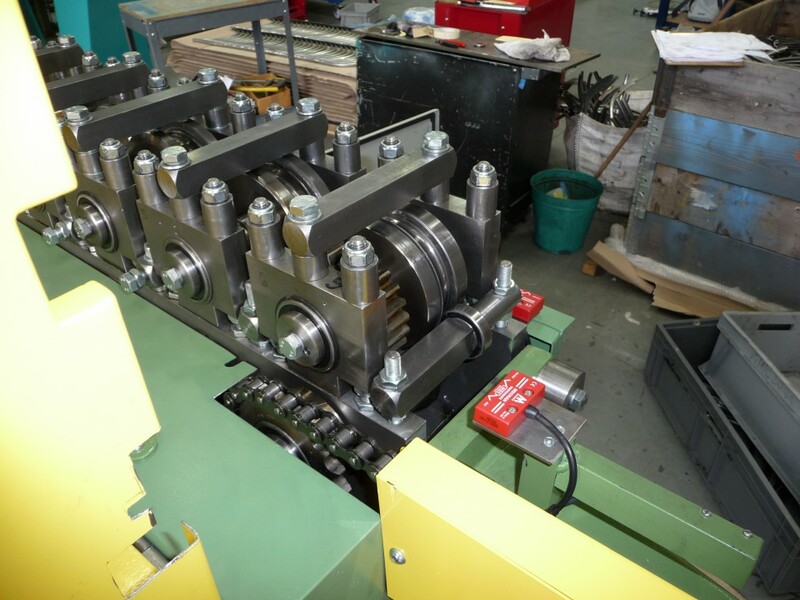 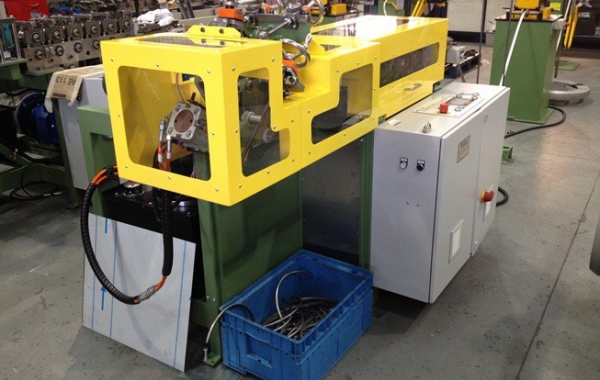 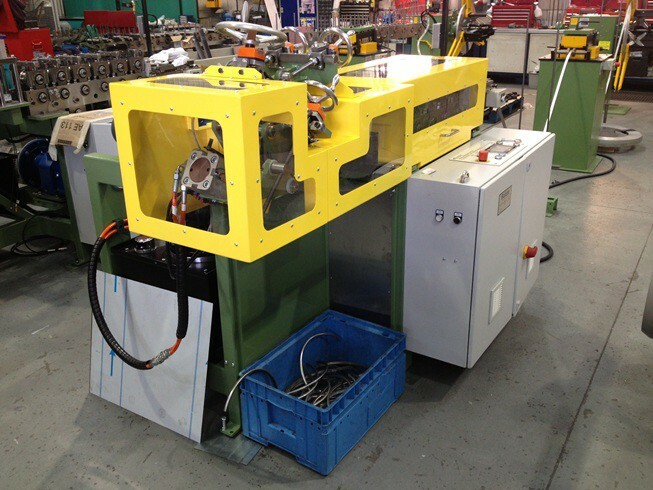 A de-coiler with 300mm mandrel width utilising a loop control, so that several coils can be fitted to the mandrel simultaneously and used consecutively with a loop, taking care of the slight misalignment between this and the following levelling machine. 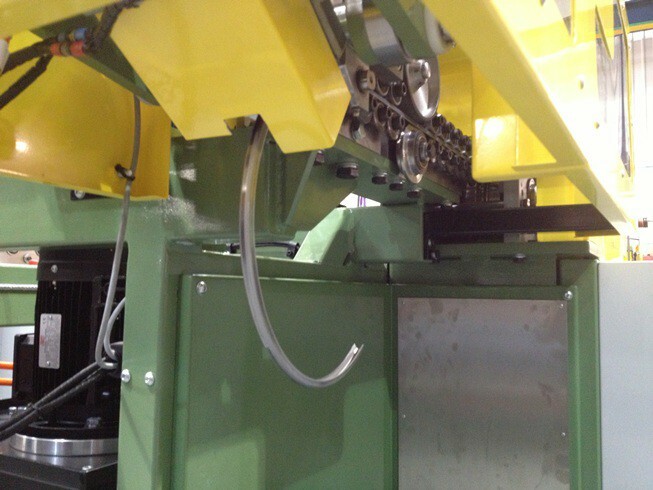 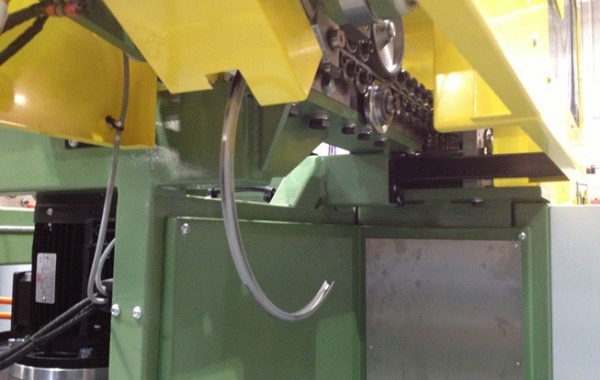 An option for a twin-head de-coiler provides the advantage of coil loading whilst running. 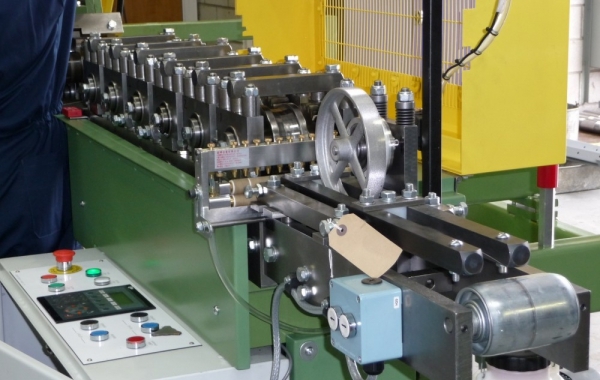 The ring-rolling unit incorporates the cold reducing principle to induce some of the curve, with a ring-rolling roller being used to form the diameter. 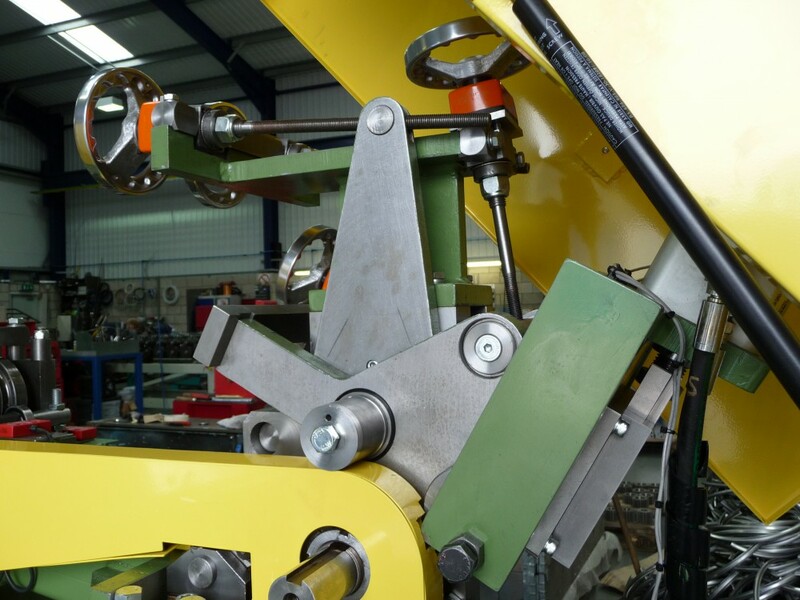 Balance between these actions allows control of the leg angle. 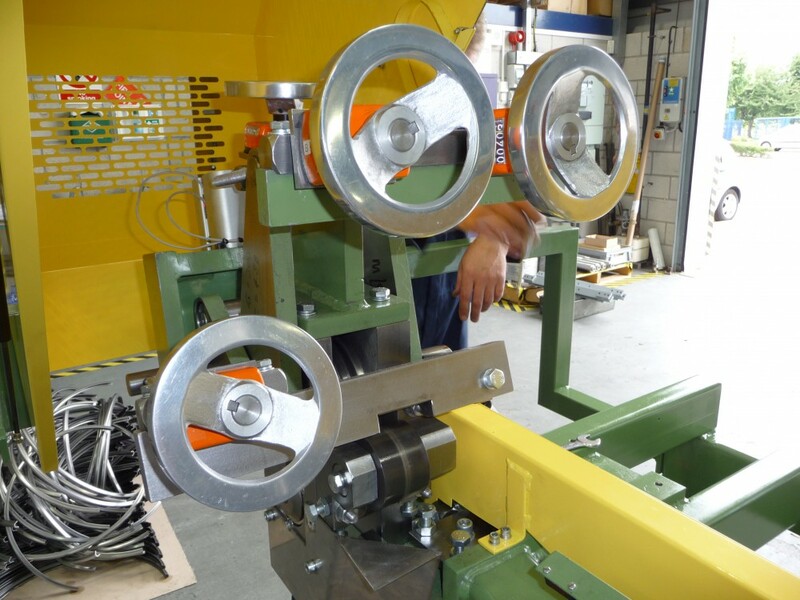 The pressure adjustment for cold reducing is applied individually on each side, giving twist control via indicator hand wheels typical of that fitted to the ring rolling unit, for repeatability of settings. 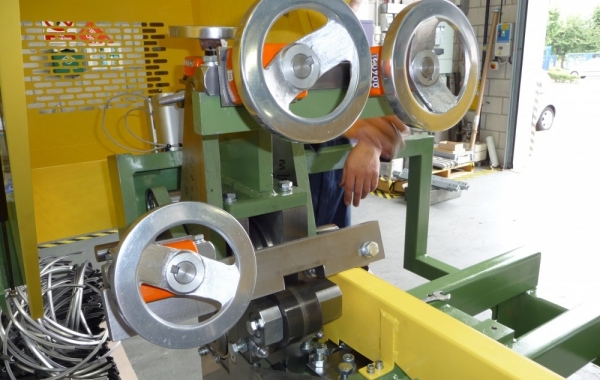 The compact cut-off head is pivoted via another indicator mechanism from the pivoting ring roll unit, therefore requiring only adjustment of indicators to change diameter.